Near Vassiliki is the beautiful secluded Agiofilli Beach. We can arrange a fun evening BBQ for you, your family and friends on the beach. 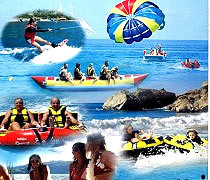 We will collect you from Vassiliki and everything else will be arranged. This is a truly fun evening swimming and bbq'ing on the beach. Operating from 'Aramis' a 25 acre farm surrounded by olive trees in the plains behind Vassilki (Apolpena Village) is lovely little riding school. 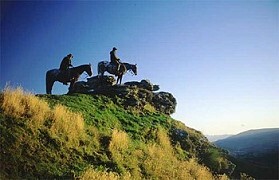 Guests can have lessons or go on hacks around the beautiful surrounding area. 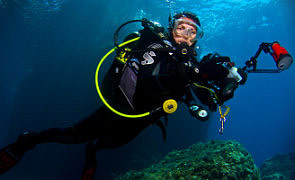 Nautilius Diving Club was established in 2002 and has dive centres in Vassiliki and Nidri. 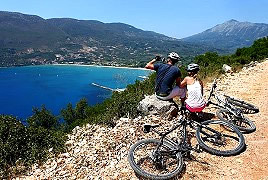 As Vassiliki is surrounded by a flat plane behind the village and is surrounded by mountains on either side of the Vassiliki Bay, exploring the picturesque area and taking in the lovely sights can be done by bicycle. Bikes can be rented inexpensively from 4* Grand Nefelli Hotel, which is located at the Ponti end of Vassiliki Bay.